Photocopiers are a standard element of the modern office. Whether you call it a photocopier, copy machine or simply a “copier”, you and your colleagues will likely need to use one everyday. Machines that can copy documents are found in all types of businesses: from one man start-ups, small or medium-sized businesses to large international companies. Regardless of where and how you work, you will need a business photocopier that suits your needs. The market for photocopy machine prices is flooded with various types of copiers and suppliers, and you may seem to find yourself lost trying to work out which copying machine is right for your office. Are you wondering which type of commercial photocopier best suits your business' needs? Then continue reading cause in this page we aim answering all questions you may have about your photocopiers. If you need customised quotes, then by filling in the contact form, Market Inspector will provide you with up to four, free, non-binding quotes to help you make a well-informed purchase. Photocopier machine prices vary and depend on the size, quality, brand and other capabilities. Copy machines for private use will cost less but if you need a machine that can scan highly detailed images and documents then you will naturally need to spend more. Of course, quality also needs to provide a good fit with the printing budget of a business. Although there are other factors to consider besides the purchasing price of an office photocopier, it is always good to have an overview of the rough price ranges with regard to the different copier types. Entry Level Photocopiers Suitable for businesses that require relatively low volume and quality of printing. Colour Photocopiers A colour photocopier is most suitable for businesses that require coloured printing with good quality on a regular basis. Desktop Photocopiers This photocopier is designed to save space and sits on a desktop anywhere in your office. The print quality is high and it can also print large quantities. Multifunctional Photocopiers These are high functionality copiers that can do much more than printing. They have features such as duplex print, automatic document feeder, printing from USB, etc. Industrial Photocopiers Typically used by businesses that print in bulk on a daily basis and send them to other businesses. Floor Standing Suppliers These photocopiers are suitable for businesses that typically have heavy requirements in terms of print quality and quantity. These copiers usually have additional features like colour, editing, stapling and sorting papers. How Does Quality Compare to Photocopier Prices? What is the Price of Toner? Should You Consider Leasing or Renting a Photocopier? Which Photocopier is the Best for You? Photocopy machines come in different shapes and sizes. Before buying a copier, you need to ask yourself: what are my needs? These are ideal for companies that need to print large volumes of documents. These machines will usually incorporate a stacker that can create multiple stacks of documents to assist in keeping print jobs organised. 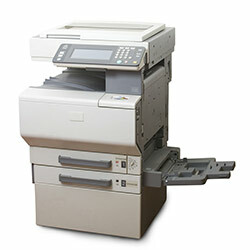 These photocopiers are typically found in in small offices that only need to print a low volume of documents or images. 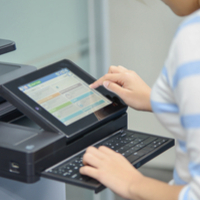 Machines usually have an automatic document feeder (ADF) that can automatically handle documents that have many pages. This solution is ideal for law firms and marketing departments that need to copy contracts and reproduce large brochures. These will have a wide scan and printing scope. They are the most common devices as they can meet a wide variety of needs and are suitable for almost any company. These machines tend to have multiple paper trays that can simultaneously print on different paper sizes, a large scanning surface, and are able to print and copy different qualities. It is important to remember that the larger the tray capacity, the bigger the machine. Typically, a photocopy machine can hold up to 1,000 sheets of paper and this amount is sufficient for moderate use. The clarity, sharpness, and level of detail that your photocopy machine needs to deliver depends on the needs of your business. The best way to determine which level of quality you need from a copying device is the resolution. This is measured in the number of dots per inch (DPI) that can be placed in a line with a span of one inch, the higher the number of DPI, the better the quality, as demonstrated below. 600 DPI is the most common resolution and is suitable for everyday professional copying. 1,200 DPI is commonly used by companies that need to copy high quality, colour promotional and marketing materials as well as reports. 2,400 DPI is a necessity for graphic designers and photographers that want to copy at extremely high quality. Toner prices vary greatly and depend on whether you have a colour or monochrome photocopier. Black toners tend to have a better page yield, while colour toners (Yellow/Cyan/Magenta) not only have a lower page yield but are also costlier. The graph shows how page yield changes with the cost of the toner. It was plotted by analysing data across 11 photocopier brands at different price points. 30 toners were analysed for both black and colour photocopiers. Generally, black toners for mono-photocopiers are more economical as the page yield increases much more with respect to the toner price. The overall price of a photocopier is comprised of the purchase price of the machine and the running costs of supplies, maintenance and repairs. It is generally known that a cheap copier has expensive consumables (primarily toner) while a more expensive machine saves money on those, is more durable and requires less maintenance. A main cost driver, the ability to print in colour is great to have because of the undeniable impact it has on visual materials. However, keep in mind that a colour photocopier generally costs more and the cartridges can reach up to 6-7 times the price of simple black toner. This means that a colour copier is probably not affordable for companies with a strictly limited budget, trying to cut costs or fighting for survival. This is an estimation of how many copies a month the machine can handle. Do not try to match your monthly printing volume to this number, as it is there to show how durable the machine is and should be around 10 times more than your actual output if you want to keep the copier in optimal shape and elongate its life. For some businesses it may be very important to have a speedy machine that can take on project after project swiftly (at 50 copies per minute) and without much downtime. Other businesses, typically with lower volume printing needs, would be satisfied with the average 30 copies per minute, which also influences the purchase price. Typically, office copiers can handle A4 and A3 page sizes with ease. If your business has special requirements for large size printing, you must consider only browsing for machines that can accommodate that. It has become customary for photocopiers to have functionalities that used to be considered luxurious. These machines incorporate the ability to scan, copy, print, e-mail and fax documents all in one while also providing options like stapling, binding and three-hole punching for a great finish of your materials. As with everything there are basic models and advanced models which is reflected in their price tag, but you do not have to spend as much nowadays to get your hands on such garden variety functionality. These can really inflate the purchase price of a photocopier. Add-ons such as an automatic document feeder, duplex (double-sided) printing, a document editor etc., can be very convenient, but luxury comes with a price. Nevertheless, it is only a one-time price and will not affect the long-term running costs of the machine, so have this in mind when considering whether to get a model with all the bells and whistles. These options depend on your company’s spending ability and plans for the photocopier. 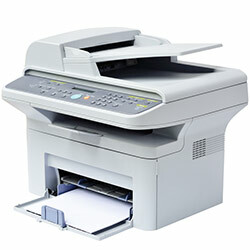 A photocopier rental agreement is for companies whose needs cannot be covered by a model they can afford to buy or simply do not want to tie up capital in such an investment; typically small or medium size enterprises that would rather not own the machine and all the responsibility that comes with it. Buying a photocopier is for those who want to own the machine and have the means to purchase it outright. Those are medium to big size companies that prefer to not get chained to one company that has to provide them with replenishment of supplies, maintenance and repair services, and also consider the machine an asset that belongs to the business. Buying a used photocopier is a fair option to consider. However, with today’s advancements in technology and price drops it is easy to afford a new unit with good capabilities. Furthermore, that makes finding parts for older models that much harder on top of the fact that their warranties would have expired by the time of re-purchase, further increasing their obsolescence. Unless your business is in dire need of a machine, but without the budget to afford a new one; or if you just need it to copy something every once in a while, buying a used photocopier may cost you extra in the long run. The running costs that come hand in hand with owning a photocopier are mostly tied to replenishing the supplies such as toner, paper, staples etc. and to a lesser extent, but equally important to consider, repairs, maintenance and replacement of parts (such as toner drum, rollers etc.). As mentioned, the running cost you will encounter most often is replenishing the supplies, particularly the toner. In order to exemplify how much this may cost, we have chosen to compare three photocopiers by leading UK brands, each in a different copy volume category. This example shows that a cheap low volume printer can get very expensive over time if used by a company with moderately high copying needs. Keep in mind that surveys show that office employees print on average 36 pages a day, which means roughly 800 pages a month or 9,600 pages a year. With this in mind, you can easily calculate your running costs based on the toner yield of the machines you choose to compare. 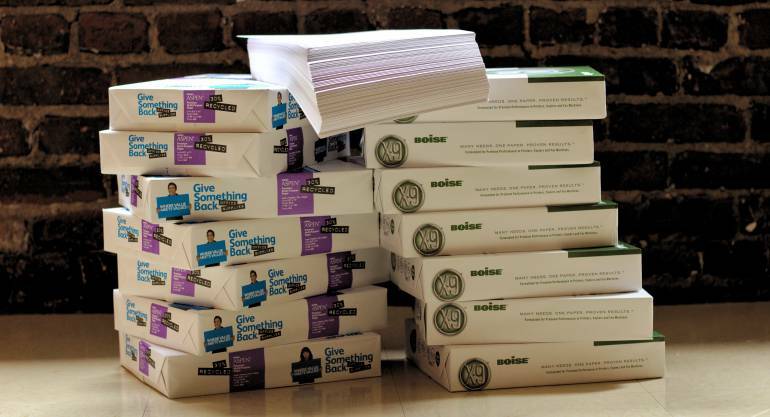 Dividing the price of toner by the number of pages yielded and then multiplying that by your monthly number of pages printed will give you an estimate of the amount of money you need to budget for toner expenses. Other running costs are harder to calculate and depend on the particular model photocopier. Be sure to talk to the supplier about the warranty coverage of the machine and get information from them on the prices of the different components that need changing over time. Before buying a copy machine, there are a number of factors that you must take into consideration. 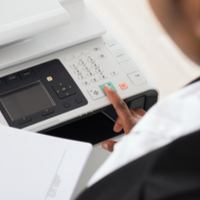 A copy machine has the potential to make your office more efficient and organised. Choosing a solution that meets your needs will guarantee that you get the most out of your investment. One should always compare photocopiers to find the best one. Moreover, most casual users are often not aware of the fact that many printers and copiers have their own mechanisms of data storage. In fact, nearly every multifunctional model built since the early 2000s contains a hard drive as a standard feature. Whether images and documents are secured automatically largely depends on the brand, as well as how the photocopier is configured. However, it is important to inform yourself about the matter - especially if you are planning to buy a second-hand photocopier or printer. Copiers can hardly be considered highly secure devices, and might retain sensitive information such as names, emails, or fax numbers. Companies can secure the information on their photocopiers by placing access controls or getting data security packages, but the first step is, of course, to ensure upon purchase that the machine meets industry security standards. The process of xerography is a method of printing and copying documents using a photocopier machine, and relies mainly on the following components: halogen lamps, a photoreceptor drum (Corona), toner, and a conveyor belt. Once the photocopier machine is turned on, the document has been placed upside-down on the glass and the user has pressed the enter/copy (green) button, the process of xerography starts inside the machine. First, the Corona drum, a metal roller which is electrostatically charged by a high voltage wire, starts to rotate as light reflects off blank areas of the paper. However, the printed letters and images do not reflect light; instead they absorb the light and thus trigger an electrical discharge. For the areas in which the light was not reflected, the toner is positively charged when it is applied to the drum in order to develop the image. In general, positively charged particles of black powder from the toner will be attracted to those areas where the light was not reflected, and this will result in your final printed images! Monochrome printers will print in only one colour, usually black and they are usually used by small companies and work groups that need to print a large volume of black text, fast. Colour printers have four basic colours - Cyan, Magenta, Yellow and Black (CMYK) - which, when combined can print in two or more colours and have a wide colour range. Multifunctional units can perform different tasks simultaneously. In addition to copying they can be used to print, scan, email and send faxes. Single function units are ideal for busy offices that need to handle several specific, high volume tasks. Having a multifunctional machine to handle a high volume of tasks could put it under unnecessary strain and frustrate its users. If you need to scan many documents with a high number of pages then a dedicated copy machine would be optimal. If you are considering buying a copier for domestic use then you will most likely be looking for a machine that prints in an A4 format, at an average resolution and with a low PPM. The benefit of this type of copy machine is that they can sit on a desk top and will not take up much space. 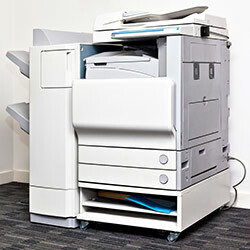 If you are considering a photocopier for office use you should consider leasing or photocopier rental options. This allows you to avoid large expenses and a leasing contract often includes servicing options where you can receive maintenance and servicing when needed. Leasing also allows for upgrading your copier as the technology progresses, rather than having to invest in a new model. Leasing will also have the possibility of an added warranty which allows you to request immediate help with your copy unit in case of a malfunction. This also includes the possibility for immediate replacement in case a repair is not possible. A company’s will to support the fight for environmental conservation has been proven time and again to support their brand and improve their internal and external reputation. Companies can make a large impact when it comes to energy efficiency and environmental waste. In addition to supporting their brand, they can reduce their indirect costs when investing in energy efficient solutions. Features that control the power consumption and standby modes can make a big difference in how much power is used by the unit. Ultimately it is up to large and small companies to lead the way in the green revolution and set a good example for clients and employees. Request a free quote today to learn about how Market Inspector can connect you with qualified suppliers of high quality, environmentally friendly photocopiers.